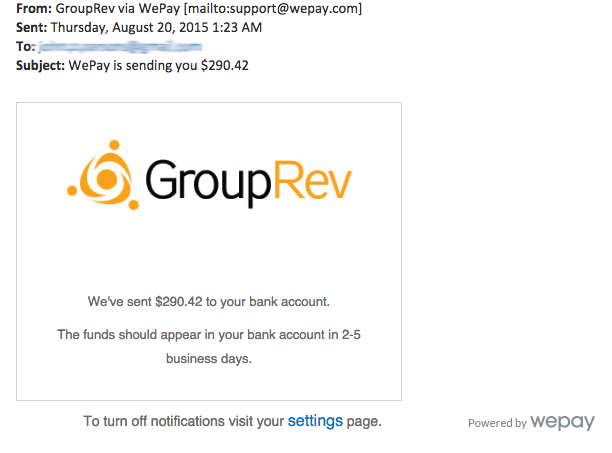 When you receive donations through GroupRev, they will funnel directly into your WePay account. They will aggregate in there until released into your bank account. You can edit the deposit interval schedule from within your WePay account. When your aggregated donations deposit into your bank account, WePay will notify you with an email that looks like the one below.